We’ve showed you Wndsn’s pocket calculators before. 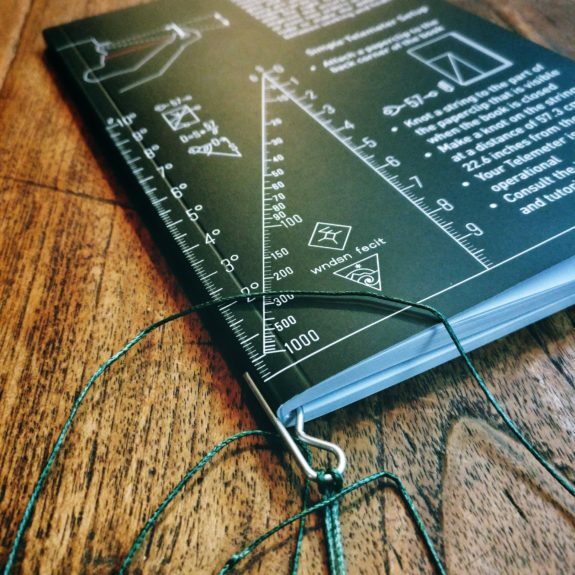 These trigonometry based tools allow the user to calculate distance, angles, and more with the need for electronics or electricity… none… at all. 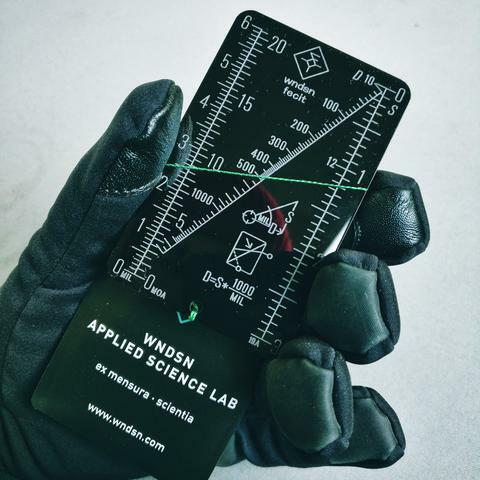 Their newest tool, the Pocket Quadrant Telemeter, is likely their most ambitious tool yet. The basic function of this tool is to determine distance based on known object size but it can do a lot more than that. In fact, it has about 50 different known uses and the math involved is flexible enough that people are still finding ways to use it. The Pocket Quadrant Telemeter comes with an acrylic card etched with graphics that contain all the baked in trig functions, a dyneema cord, a tungsten carbide plumb weight, and a sleeve. 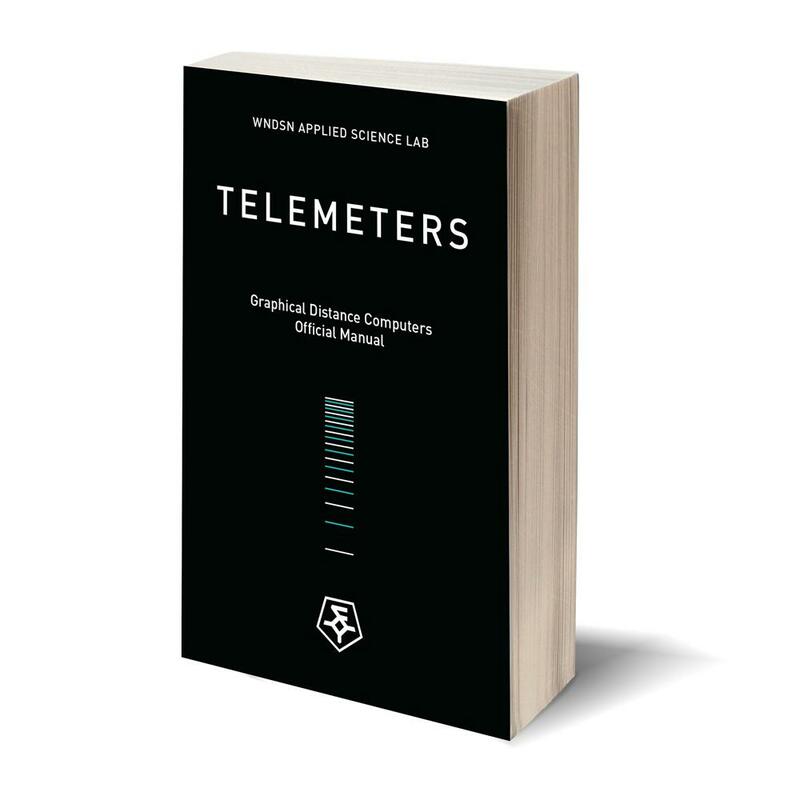 It also includes a printed cheat sheet for using Wndsn Telemeters and a digital copy of their comprehensive guide to telemeters. These instructional items are a must if you plan on even scratching the surface of what these tools can do. 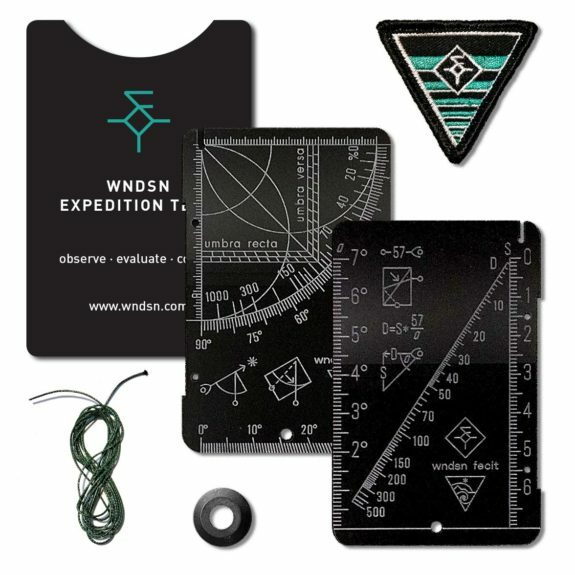 Check out the Wndsn Pocket Quadrant Telemeter at WNDSN.com and learn more in their blog post. You’ve seen Wndsn’s incredible low tech calculation tools on these pages before. They have created a variety of tools that calculate distance based on trigonometry, convert between MOA and MILs, and more… all without the need for moving parts or batteries. 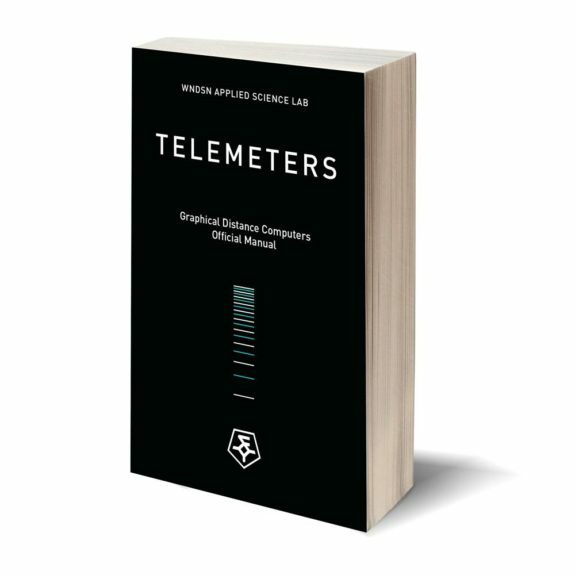 Their newest tool, the Acrylic Telemeter Pendant is based on a Viking design. It allows the wearer to determine distance based on sighting objects of a known size while holding the pendant a specific distance from their eye. This is one of Wndsn’s first acrylic tools and it has a unique feature that takes advantage of this optically clear material. There is a slot in the Telemeter Pendant that is sized to accept miniature glow sticks. The glow stick illuminates the markings on the Telemeter Pendant, allowing it to be used in low light. 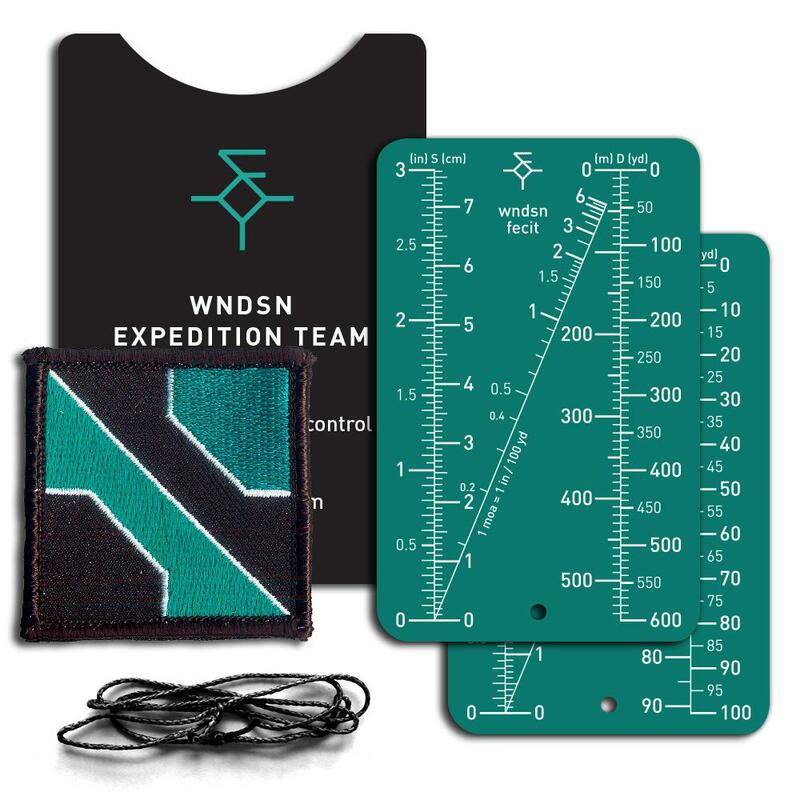 Wndsn continues to round out their line of shooting calculation tools that require no batteries, minimal parts, and no electronics of any kind. Their latest tool is their Wndsn Shot-Grouping-to-Moa Converter. From shot groupings to moa in one piece-of string operation with the Wndsn MOA Converter, making time at the range more effective. 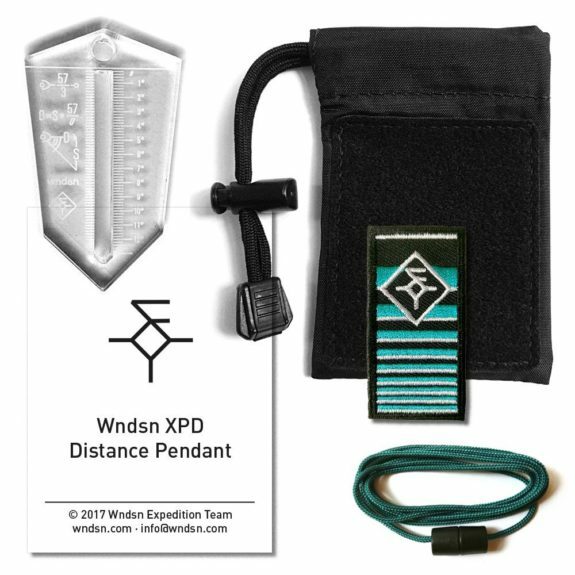 Wndsn XPD, maker of low-tech, high-utility tools and instruments, proudly introduces the Wndsn MOA Converter designed to meet the needs of military and law enforcement, as well as gun enthusiasts and athletes. A tool for training and practice, the Wndsn MOA Converter enables the shooter to take out the guess work of calculating shot grouping MOA, eliminating mental calculation errors and increasing your success. The double-sided tool provides two scales for shooting ranges up to 100 and 600 yards respectively and features twin scales for measurements both in inches and in cm for the shot grouping as well as yards and meters for the range distance. Both convert to MOA on the center scale. With the objective of providing or enhancing “that, which can’t be improvised” in “low-probability, high-impact scenarios”, the MOA Converter expands on the Wndsn v1 Distance Meter, which did all the work except for one single calculation. Now with the newly designed line of metrology tools, you won’t need any calculation nor utilize battery power whatsoever through the use of even more elegantly baked-in trigonometry. Simply measure the shot groupings with the provided scale, then use the attached string to align the result with the distance of your range and read the resulting MOA. For hunters, enthusiasts, professionals, and athletes alike, the MOA Converter makes calculations effortless, increasing efficiency and speed while greatly decreasing error potential. The Wndsn XPD mission encompasses arcane science and cross-disciplinary exploration in the spirit of the age of discovery. Wndsn XPD stands for adventure, overcoming natural and man-made challenges, promoting self-reliance and mindfulness. Wndsn XPD develops and /or manufactures custom-built navigation instruments, multi-purpose tools, metrology & illumination solutions, expedition mementos, and morale patches; applying existing empirical knowledge to develop essential tools and techniques to fully experience contemporary adventures. The Wndsn XPD design philosophy strives to create accurate and meaningful, non-arbitrary designs inspired by Bauhaus architecture, obsessive about achieving non-random, iconic, strong geometric compositions. The guiding principle is to define a distinct visual language with a diverse vocabulary and grammar, across materials, media, and tools embracing simplicity, precision, clarity, and boldness. Intended function and materials dictate shape and form.